Offer not valid for Holidays and St. Barth's Bucket March 19 - 30, 2012. 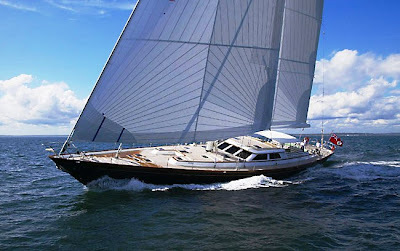 Welcome Aboard S/Y Whisper: Winner of Show Boats Awards' 2004, "Best Sailing Yacht Under 40 meters." It's what luxury sailing yachts and luxury yacht charters were meant to be. Launched in May 2003 at Holland Jachtbouw yard in Amsterdam, Whisper is now available for the most discerning of clients who seek luxury yacht charters and corporate yacht charters in the Caribbean, Adriatic and Mediterranean Seas.